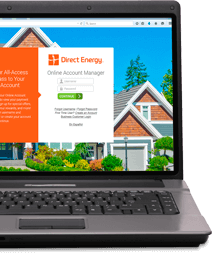 Home > Learning Center > Home Safety > What Should I Do in a Power Outage? Yes, of course you have a flashlight. But do you know where it is? Could you find it in the dark? Do you have extra batteries? Or a rechargeable (and fully charged) flashlight? The dark can be scary for young children. Prepare them by playing a "lights-out" game to find the flashlight. Keep candles and matches on hand. Remember, candles are romantic, but potentially dangerous. Have solid, stable holders for them, and be especially careful if there are children or pets around. Have a fire extinguisher nearby and know how to use it. Why is My Power Out? If the lights go off, the first thing to do is determine whether it is really a power outage or a problem with your own breaker. Reach for your flashlight and check your main electric panel. If you have blown a fuse or tripped a breaker, one or more of the switches may be turned off. Simply turn it back on and power should be restored. If it is not a fuse or a breaker, check to see whether that power is out for your neighbors, too. Power can be lost in a very localized area. For instance, houses that are served by the same pole-mounted power transformer will be dark, while houses next door are fully lit. If it is an outage, call your utility company and report it. Sometimes it can be hard to get through because other customers are also reporting interruptions. Please be patient. It is likely they already know about the problem and are working to fix it. Cordless phones or extension phones that require connection to an electric outlet will not work during power outages. Models that only need to be plugged into the phone jack will work. A battery radio lets you keep up with the news from the outside world. Make sure you have extra batteries. You could also use your car radio in an emergency, but remember the dangers of running a vehicle in an enclosed garage. Protecting your appliances: When power returns, there will be a surge of electrical energy that could damage sensitive equipment like computers, laptops, or televisions. Safety: It is easy to forget during an outage that you had a stove burner or an iron on. If you're away from home when electric service is restored, you can have a serious safety hazard. Helping your utility to restore service: Restarting appliances can use almost double the amount of electricity that they use when running normally. Think of the way lights dim briefly when the A/C fan comes on. Then imagine the power demands placed on the electric system when every customer needs more power than usual - all at the same time. When the main switches are re-energized, this demand can cause breakers to trip. It helps if you don't have all your appliances waiting to draw power the instant it is restored. The first option is to unplug them one by one, leaving one light on to let you know electricity has been restored. However, it is easy to miss an appliance, and awkward to get around in the dark. The second option is to turn off your main circuit breaker. This ensures that you will not overlook anything. It does mean you will have to keep an eye on streetlights outside to let you know that power has been restored. Keep an eye on your family members and call 9-1-1 in case of a medical emergency. Migrate your family to a room that can retain a comfortable temperature. Consider spending time out of your home if possible. While it may be tempting, do not run extension cords to the home of a neighbor who still has power. It is a fire hazard. The choice to install a standby generator is yours. 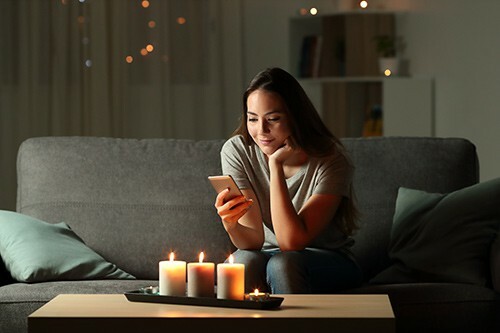 They can be useful during a power outage if you have the correct one for your home and if it is safely connected. If you choose to use a backup generator for your home, call a licensed electrician to help you properly connect it. Please call the local utility company for your area. This information can be found on the Contact Us page for your state or province.